Will a Herniated Disc Heal on Its Own? Mass Ave Chiropractic Blog Will a Herniated Disc Heal on Its Own? Your body has an incredible capacity to heal from even the most severe injuries and diseases, including a herniated disc. It’s a little misleading, however, to suggest that a herniated disc will heal on its own just because the human body can repair damaged tissues. 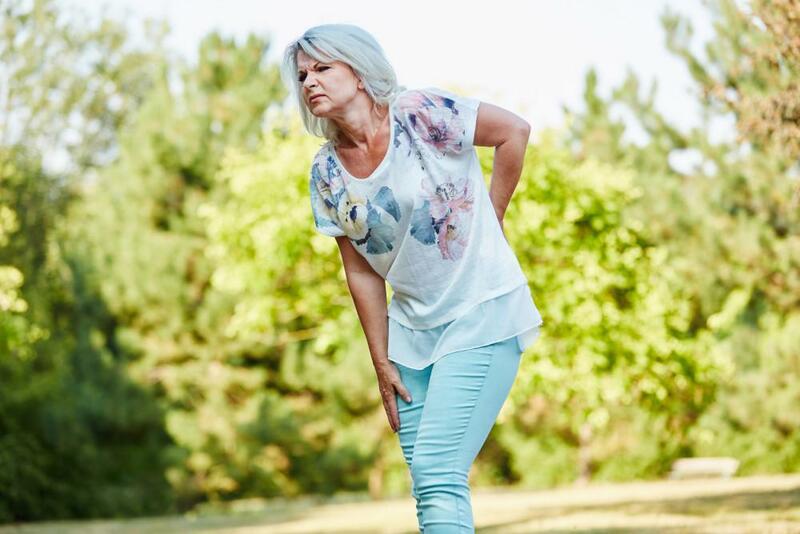 Whether or not a herniated disc heals depends on variables like your age, the cause of the herniation, and most importantly, the care and treatment provided to support the healing process. Here at Mass Ave Chiropractic, we offer advanced treatment options proven to promote optimal healing of your herniated disc. Let’s take a look at how discs herniate and the factors that impact your healing. The discs between the vertebrae in your spine are specially designed to absorb pressure and allow comfortable movement. They can do the job because of the way they’re built: each disc has a strong yet flexible fibrous outer layer that surrounds a cushiony, gel-like inner layer. Your disc becomes herniated when the outer layer weakens or cracks, allowing the inner gel to bulge out. In some cases, the outer layer tears and the gel leaks. The outer layer may stay intact, however, and push out along with the gel. Pain develops when the bulging disc or leaking gel put pressure on spinal nerves. The gel also triggers inflammation that adds to your pain. How does a disc become herniated? Over time, the outer layer suffers natural degeneration from daily wear and tear. Additionally, the inner layer contains water, which dries out over the years. This dehydration makes the disc less flexible and vulnerable to damage. Although age-related changes are the primary cause of disc herniation, young adults can also suffer a bulging disc. You may experience an injury during intense athletic activities or develop a herniation from any activity in which you repeatedly bend or twist your lower back. How does a herniated disc heal? The challenge of healing a herniated disc is different from healing a cut. Although your body uses the same healing process to repair the torn outer layer, it must first deal with the abnormal bulge created as the gel pushes its way out. As the immune system recognizes substances in the herniated portion as foreign material, it helps by removing some of the harmful bulge. Water contained in the gel is gradually absorbed by your body, shrinking the herniated bulge. As you engage in carefully supervised extension exercises, the movement helps the bulge move toward the disc and away from spinal nerves. So, can a herniated disc heal on its own? Some people point out that your symptoms may subside, but that doesn’t necessarily mean your disc has healed. You can feel better while the original damage or weakness may remain. Or your disc can fully heal, it just takes time for the protruding material to be resorbed by your body. Factors like your age and the cause of the herniation come into play. Age-related dehydration and degeneration represent the type of damage that won’t heal on its own. On the other hand, if you’re younger, suffered an acute or repetitive injury, and follow the treatment plan for your spine, a torn outer layer may repair itself. With proper treatment, about 90% of all patients with a herniated disc achieve pain relief and improved motion within six weeks. If your symptoms last longer than six weeks, you may have a higher risk of a recurring herniation, with recurrence occurring in about 5-10% of all patients, even those who undergo surgery. The bottom line is this: whether your herniated disc fully heals or not, you can obtain symptom relief and regain optimal movement when you get proper treatment for your spine. At Mass Ave Chiropractic, we give you the best chance possible of healing your disc and staying symptom-free using the DRS Protocol™. The DRS Protocol — decompression, reduction, and stabilization — provides comprehensive and fully customized treatment that’s proven to effectively treat herniated discs. Give us a call or book an appointment online at the first sign of lower back pain. We’re here to support your long-term healing and recovery.